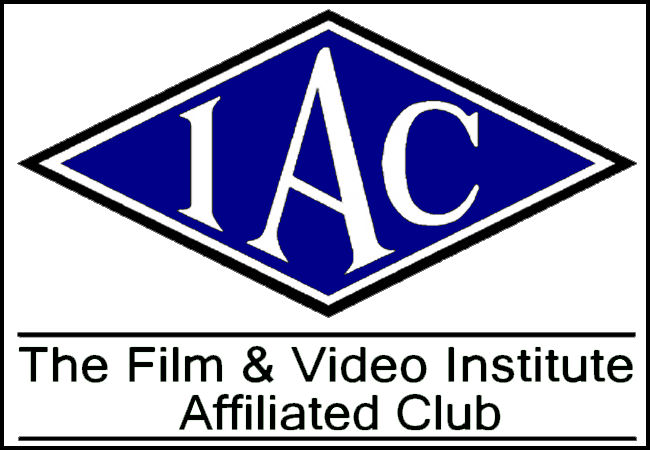 This week’s meeting will see another screening of films that come from outside our club but the standard will just as high, as the IAC logo above might have already indicated to you. The governing body of all amateur film clubs across the UK is involved in many film competitions across the country and even overseas, one of which is the prestigious BIAFF (British International Amateur Film Festival). Each year films from all over the country are submitted for judging and rated from 1 to 5 stars with eight exceptional entries awarded a Diamond Award, making this a high contested competition indeed. For our delectation a selection of films of recent BIAFF entries will be shown on Tuesday night, all of which were rewarded at least 3 or 4 stars in competition, so none of your rubbish here! There will be room for brief critical discussion after each film in what promises to be an entertaining and busy evening.